Motorcycle accidents create a significant risk of death for those on motorcycles. The National Highway Traffic Safety Administration indicates there is a substantially greater risk of death when involved in a crash on a motorcycle, as compared with in a passenger car. Unfortunately, all too often, it is people in cars who make the unsafe choices which end up costing motorcycle riders their lives. Just recently, KVAL reported on one Oregon man who was potentially responsible for causing a motorcycle accident. The alleged actions of this driver did not just result in one fatality, but actually may have killed three motorcyclists. The bikers were visiting from Germany, and notifying the families in a foreign country was creating complications for law enforcement. The actions of the driver from Oregon that allegedly killed the three German bikers have resulted in the driver being arrested and facing criminal charges. The driver was 61-years-old and was driving a 2003 pickup truck. He was reportedly in the process of negotiating a right-hand curve on the road. He failed to negotiate the curve properly, according to Patrol Captain Tom Pritchard. As a result, the driver crossed into oncoming traffic. The incident happened at around 12:15 PM. When the driver crossed the yellow line into oncoming traffic, he smashed into a large group of motorcycle riders. Two men and one woman on the motorcycles were killed. Three additional motorcyclists were injured, but said to be in stable condition at the hospital where they were transported after the incident. The Oregon man who was arrested for hitting the bikers was being held at a detention center pending his first court appearance. It was not yet clear why he had crossed the center lane, but there was speculation he may have been taking pain medications after a recent abdominal surgery. It remains to be seen if the Oregon man will actually be convicted of any criminal offenses for his role in the accident which led to the three deaths. In addition to criminal charges, it is also possible for drivers who cause motorcycle accidents to be held liable in civil court. 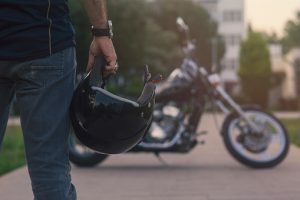 In civil court, victims hurt in motorcycle accidents (or surviving family members in situations where a motorcycle accident is deadly), can pursue claims against the driver who caused the collisions to occur. These cases are entirely separate from any criminal proceedings and the goal is for the victims of the accidents to be compensated for both economic losses and non-financial damages the crash has caused to occur. The standard of proof and the process of making a civil case are very different than in a criminal case, and victims who wish to pursue a lawsuit in civil court to obtain damages should ensure they have a qualified legal advocate to provide assistance in making a case to obtain damages. It is also possible for these cases to settle outside of court, if an agreement on compensation can be reached between crash victims and those responsible for providing compensation.